We will show you how to achieve a natural, full body tan using around 40ml of NOUVATAN solution. This will allow you to achieve more than 20 tans per litre from 1 litre of NOUVATAN solution. All of our trainers are NOUVATAN customers who love our solution and use it on their own customers. They have been trained by us and have successful spray tanning businesses of their own. Many companies offer in house diplomas that only allow you to use and get insurance if you use their specific branded products. Our course allows you to offer spray tanning using other companies products should you wish to. We also offer a reduction in the training when purchasing one of our spray tan kits. practice your spray tanning so please make sure you have someone to take. Spray Tan Training is available at one of our many training venues situated throughout the UK, In many areas we can offer you onsite training by our mobile trainers, either one to one tuition or a group of you in your own salon. See below locations of our current Trainers. Our Spray Tan training courses are fully accredited by The Guild. 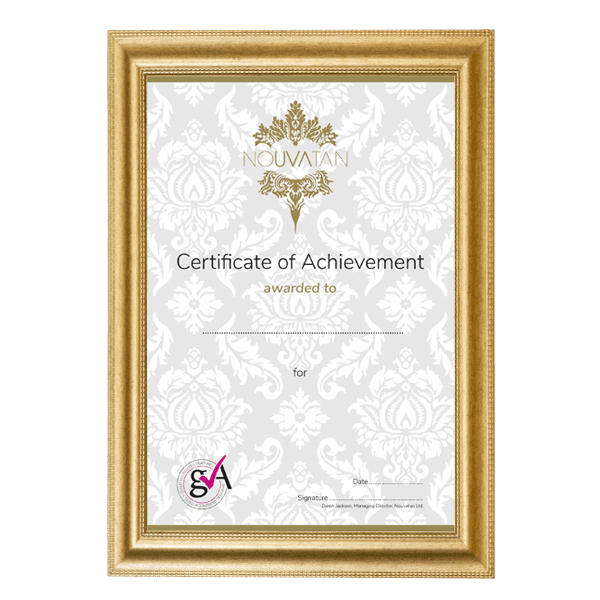 This means the certificate that you will receive from us is recognised by all the major Beauty Insurers and that you can start charging for your Spray Tan services straight after completing the course. Why not let us know where in the country you are and we’ll be able to tell you what courses are available near you. If emailing from Hotmail, Outlook & MSN please check spam or junk mail for response. We can also let you know current Spray Tan Training Course dates and the costs involved.